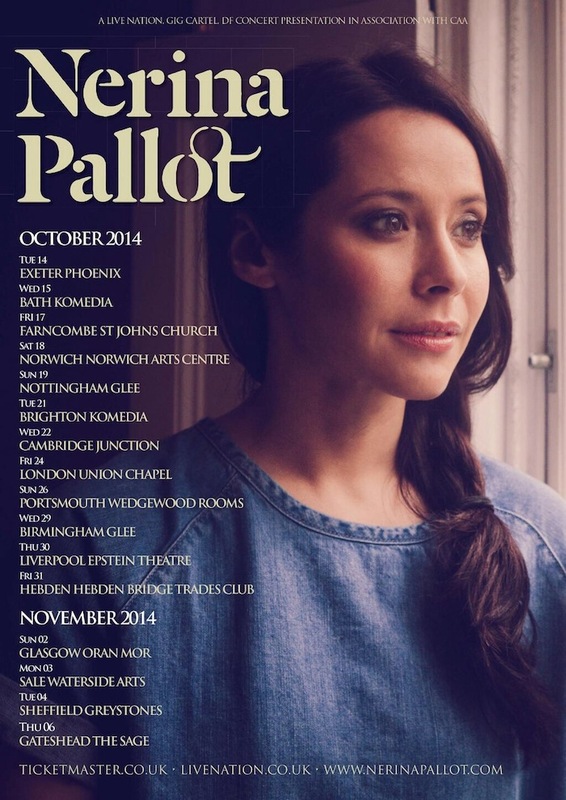 With the release of ‘Free As You Wanna Be’, the fourth EP of twelve scheduled for 2014 this week, the divinely exquisite Nerina Pallot has announced a full UK tour for October and November. Tickets for the shows are available for pre-sale from tomorrow (30th April) ahead of the on general sale date of Friday 2nd May. Ahead of these dates, Nerina is playing a series of gigs and festival appearances during the summer – full details of all Nerina’s shows can be found on her website here.